There has been no process more fundamental to KMVS’ mission of women’s empowerment than the capacity building of rural women. Since its inception, the core focus of KMVS has been to help women acquire the skills and abilities necessary to identify and address their everyday concerns. At the same time – in order to reduce dependency on outside professionals, develop local abilities and create opportunities for professional growth – KMVS has concentrated on building the talent and leadership of its own staff from within. Since the beginning KMVS has also stressed the importance of developing the capabilities and knowledge of its own staff. 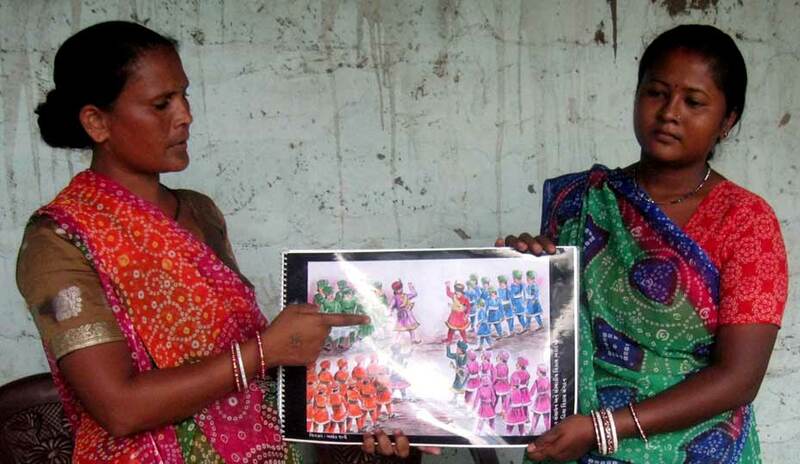 To ensure the entire KMVS family shared a common understanding of the local environment, new staff members received training on the dynamics of gender, class, caste and development in Kutch. Staff was also trained in leadership techniques, while individuals were encouraged to specialize in issue areas compelling to them. In addition, KMVS encouraged its staff to visit outside NGOs and organized training workshops on important issues. Learning and professional development was emphasized as a continuous and collective process relevant for staff at all levels within the organization. KMVS’ internal reflections in early 2001 identified the need for a specific training and capacity building cell. While capacity building initiatives were responsible for much of KMVS’ prior success, there was a desire to formalize the efforts and make a single cell responsible for all the capacity building needs of the other Cells and Sangathans. The organization believed that bringing responsibility for organizing trainings, conducting workshops, facilitating exposure trips and inviting experts into a single cell would improve the regularity and efficiency with which capacity building occurred. The initial vision of the Training and Capacity Building Cell was straightforward. “Nurturing and developing the staff members and Sangathans is the prime and main role.” Simply put, the Cell was created to build and develop the abilities of KMVS’ internal network. The Cell adopted the name ‘HRIDAY’ for two reasons. First, hriday is the Gujarati word for ‘heart’, so the name signifies that capacity building is the lifeblood of KMVS. Just as an active heart is always pumping, so too must KMVS always be engaged in internal capacity building and professional development. Second, ‘HRIDAY’ served as an acronym for the Human Resource and Institutional Development Academy. 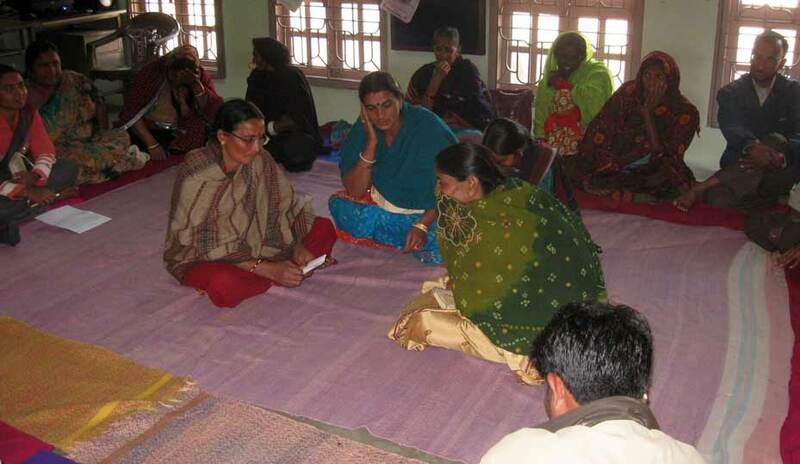 HRIDAY has worked to facilitate professional development within KMVS on three fronts – with its own staff, with the staff of the other Cells and with Sangathan women. All of HRIDAY’s support within KMVS has been preceded by needs assessments conducted by the respective Cells and Sangathans. Based on these assessments, HRIDAY has been able to design appropriate workshops and training modules.